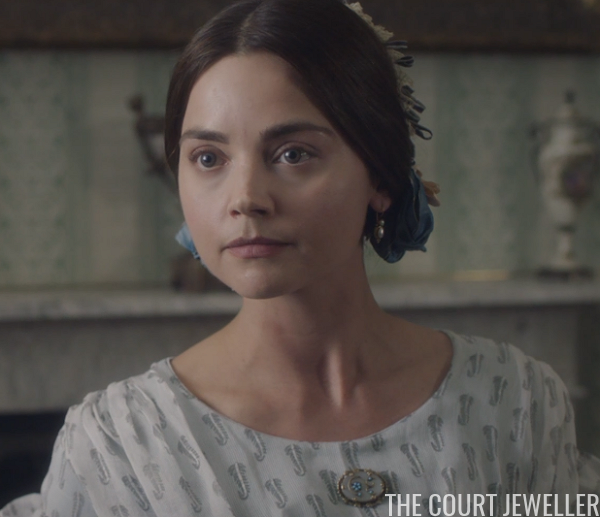 Time for yet another look at the jewels from the most recent episode of Victoria! 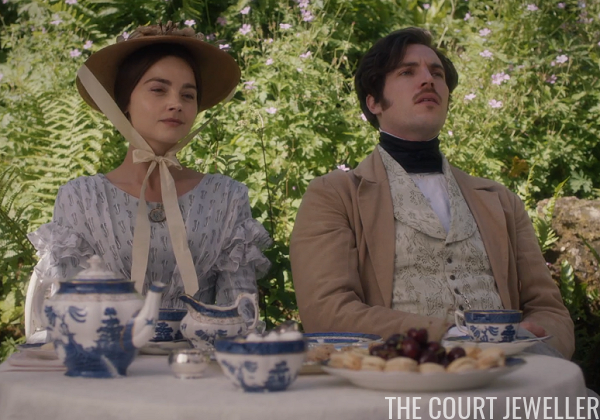 This week, Victoria and Albert argued about little Bertie's education, and Victoria and Palmerston quarreled about Louis Kossuth. 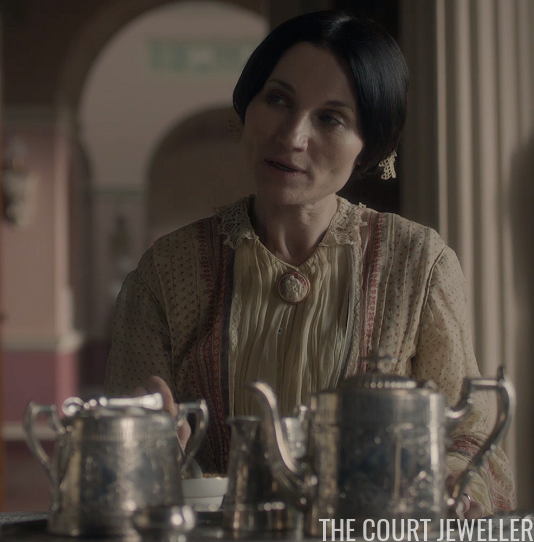 There were attempts at extramarital shenanigans, and no tiaras to speak of. 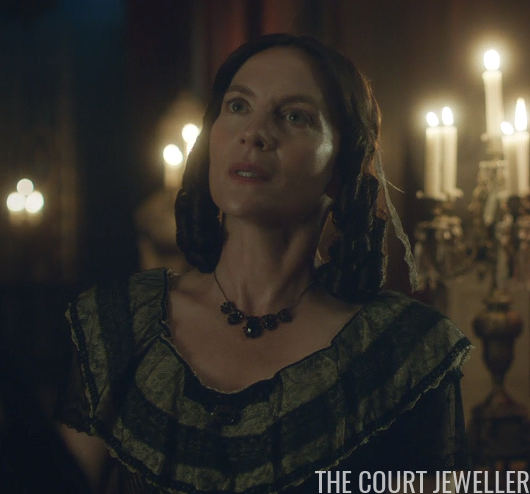 Let's have a look at the jewels we did spot in the episode. 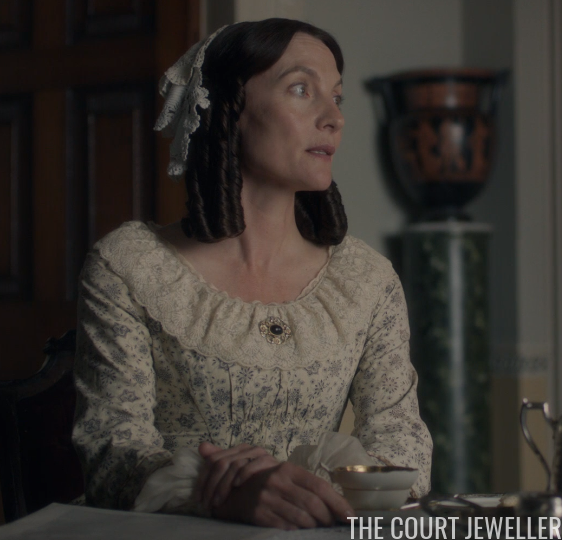 Most of the episode took place at Osborne House on the Isle of Wight, so we had lots of daytime jewelry. 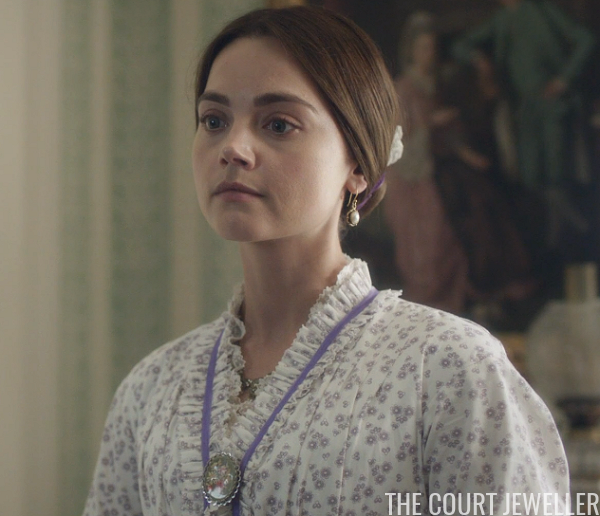 My favorite was probably this amethyst-like brooch, which does seem suitably Victorian. ...and then finally this interesting little gold one. 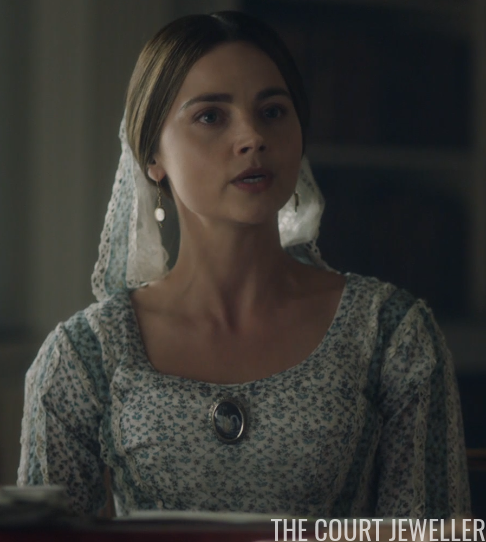 We also saw this brooch on Emma Portman, whose chief occupation this season appears to be preventing other characters from committing adultery. 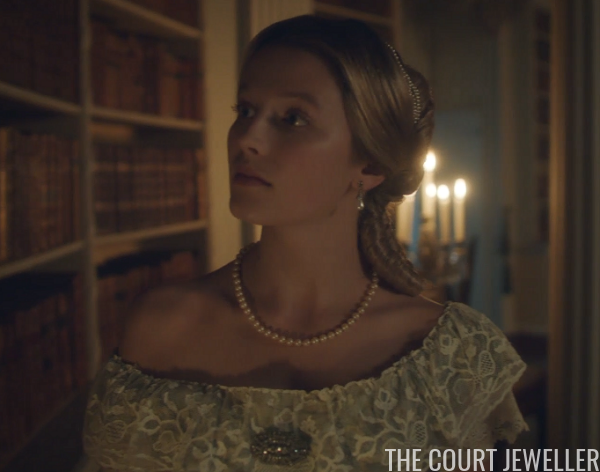 And this enormous gold-framed cameo on (the fictional) Sophie Monmouth, whose chief occupation appears to be trying to commit adultery with either a foreign secretary or a footman -- take your pick. 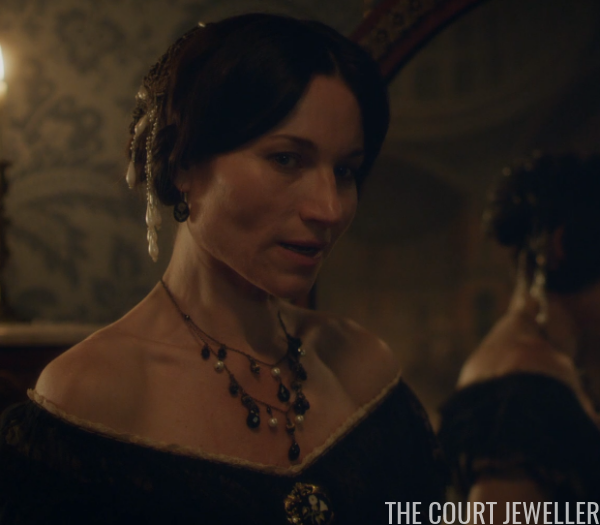 Sophie also wore this interesting set of opals, which looks awfully modern to me, or at least the necklace does. 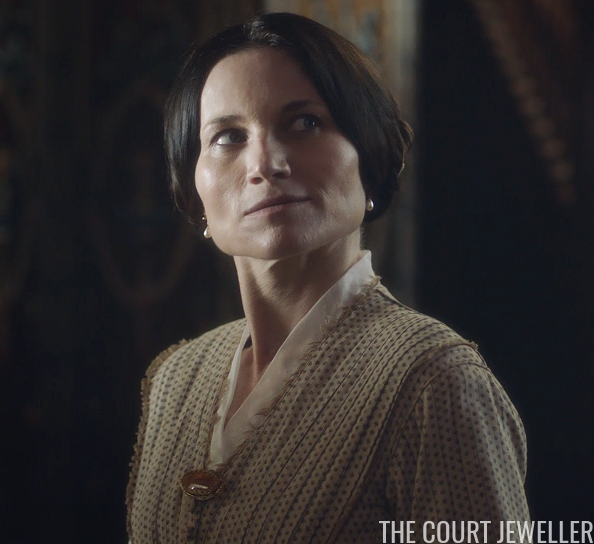 ...and this brooch, which looks like amber. 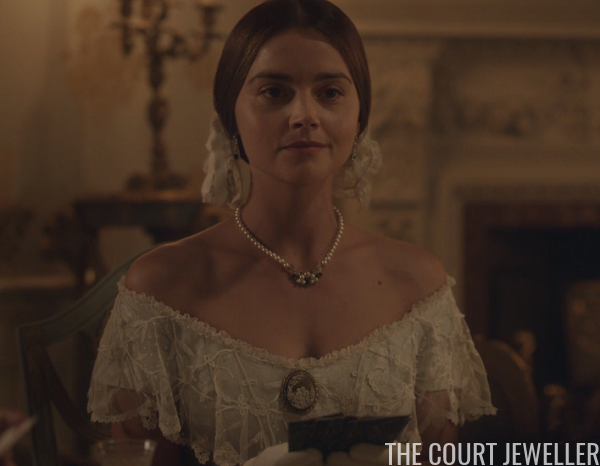 ...and pearls and this little brooch (and a day dress???) 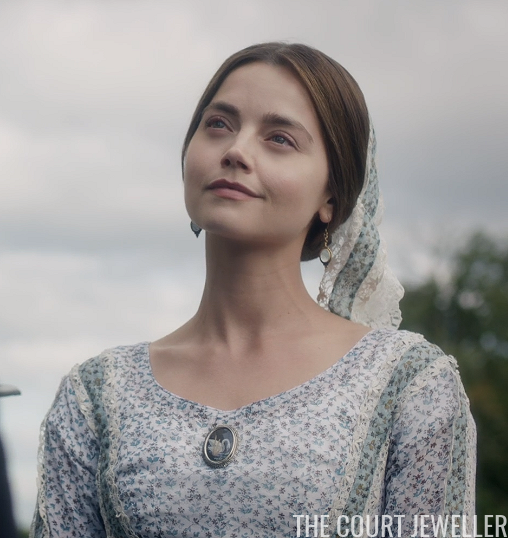 for this dinner scene, where she flung a glass of water dramatically at Albert like she was in Dynasty, not on Masterpiece. At least we got some interesting Hair Pearls after that brouhaha. Emma Portman's evening jewelry looks as bored as she does, frankly. 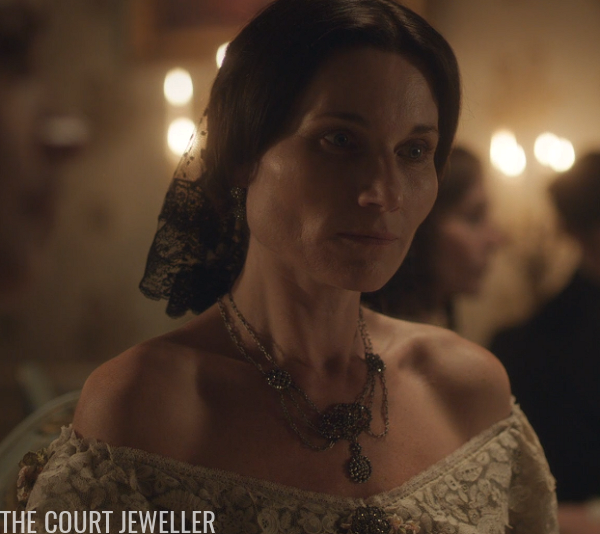 She's also the only female character we saw in a third evening ensemble, with this interesting (but not particularly Victorian, I'd say) necklace and that opal brooch. 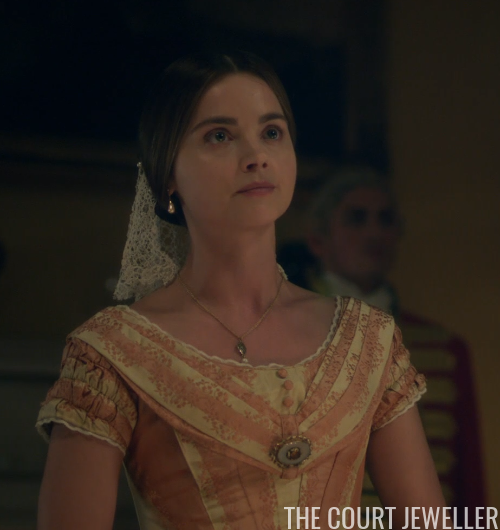 Lots of evening/day jewelry crossovers here, which -- eh. 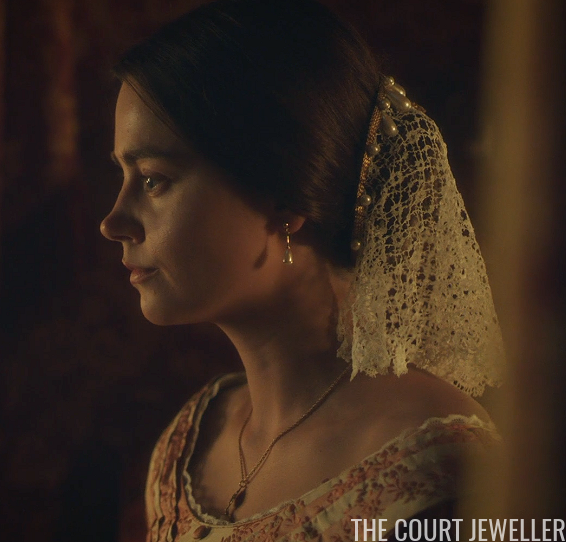 What's your take on this week's not-so-royal jewels on Victoria? 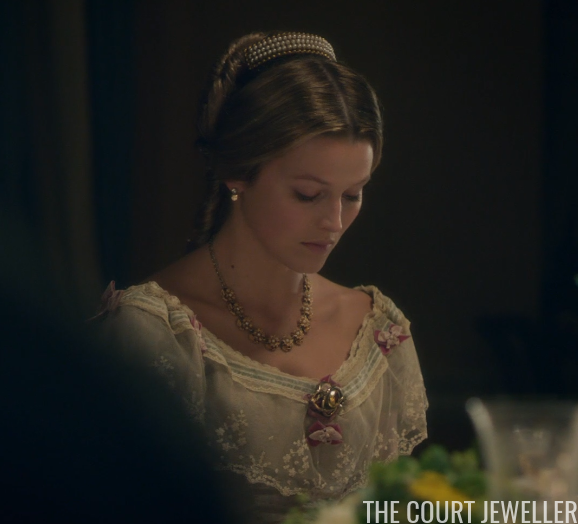 Are you happy they're not showing off bad replicas of real jewels often, or do you wish they'd try a little more?